Basic Health Publications, 9781683367277, 352pp. 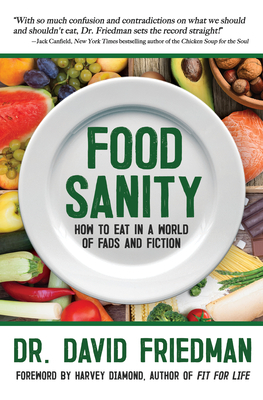 After becoming frustrated with all the conflicting research and opinions, Dr. Friedman wrote Food Sanity, which explores all the fads, facts and fiction. Using a common science meets common sense approach, this groundbreaking book finally answers the big question: WHAT THE HECK ARE WE SUPPOSED TO EAT?